In 1977, Erwin Gierhards founded a gallery specializing in 18th century German furniture and works of art, Impressionist paintings which he established a year later at the Bilkerstrasse, corner Bastionstrasse in Dusseldorf. In the following years of the opening, wanting to broaden the scope of the gallery he included French furniture and gilded bronze and Old Master paintings from the 18 th century. In 1998 he moved the gallery from a shop to a complete floor in a building on the Benrather Strasse in Dusseldorf, in order to be able to present his selection of high end quality furniture and works of art from the Louis XV and Louis XVI periods in an authentic context. With an exhibition area of ​​320 square meters, the new residence permitted an adequate presentation with a series of three salons, making up the framework for a specifically arranged ensemble. On 1 January 2004, Ralph Gierhards took over the gallery from his father Erwin Gierhards. During his career, he acquired practical experience both in Germany and abroad, for instance when working for the auction houses Van Ham in Cologne and Neumeister in Munich. 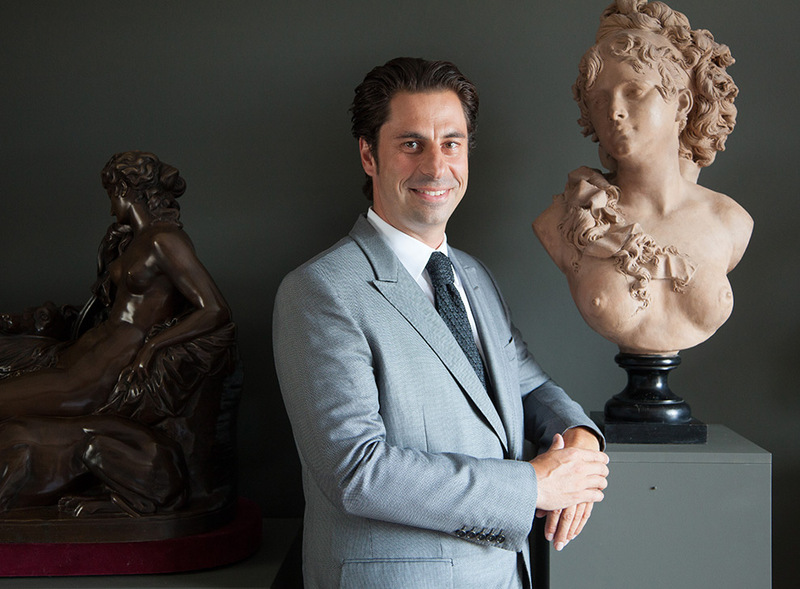 Having worked a year at Christie’s London, he joined Christie’s New York where he expanded his knowledge in the field of antiques, notably furniture and „Decorative Arts of the 20th century“. He also worked for an antique restorer near Frankfurt and took experience with a painting restorer. Since 1997 Ralph Gierhards and Erwin Gierhards have been participated at the prominent International Art Fair TEFAF in Maastricht. In 2004 he ran the fair by himself. In 2012 Gierhards Antiques moved to the prominent Königsallee 44 in Dusseldorf. Furthermore Ralph Gierhards joined the Exhibition Committee of the Art Fair “Cologne Fine Art & Antiques” in May 2009. Since 2009 he has been participated at the Munich Highlights fair in Munich.